When I travel, I love, love, love to walk and walk and do dog and pet photography along the way. 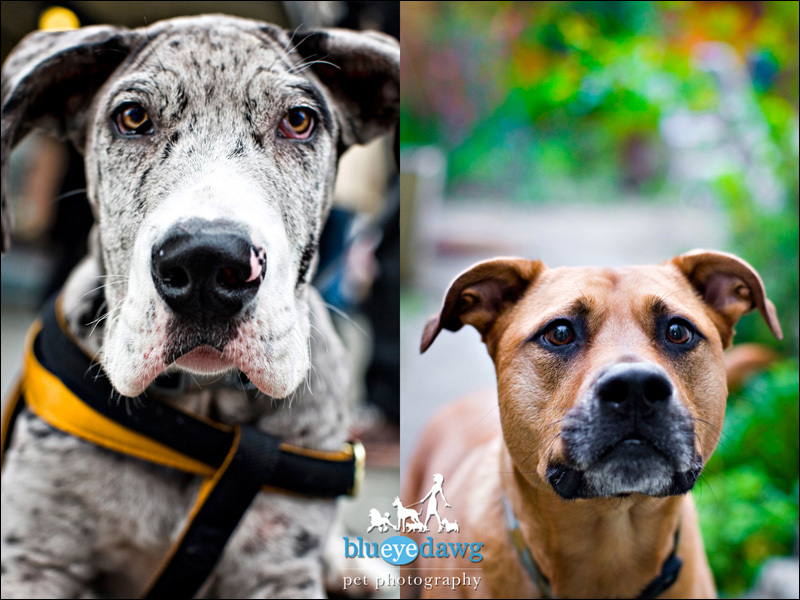 Here’s a coupl’a images of dogs that I captured while walking around Seattle. The first one below, I was in mid sentence with some guy who was asking questions about my camera and saw this image out of the corner of my blueye. I instinctively turned to and popped off 3-4 images and got this mug-shot. Needless to day I love dog photography! The dog photography below was taken as I was doing my walk-about in Olympic Sculpture Park. 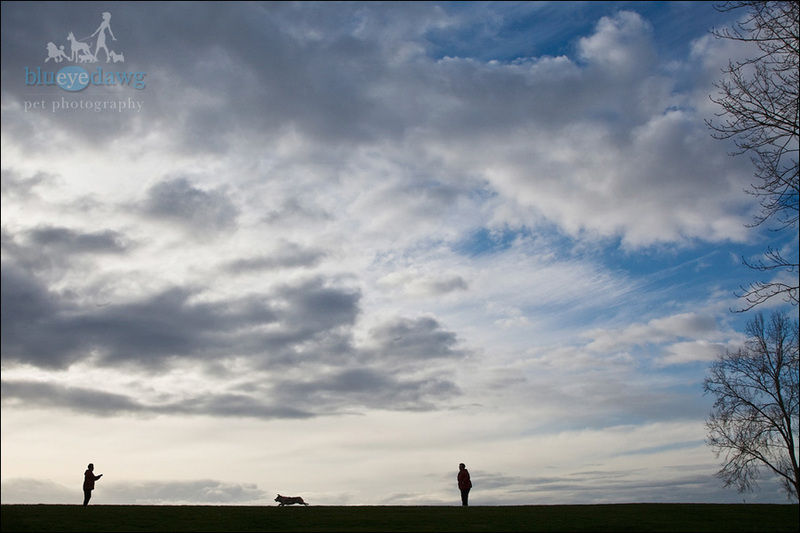 I just happened to be walking back towards my hotel when I came across this scene of a dog playing fetch on a hillside with this perfect sky looking out towards the Puget Sound. For me citys are visual playgrounds. When I travel, I love to explore, camera in hand. This pet photography image of a cat dressed up like his eccentric owner was captured across the street from the Pike Place Fish Market and just down the block from the original Starbucks. Pet owners lover their dogs. 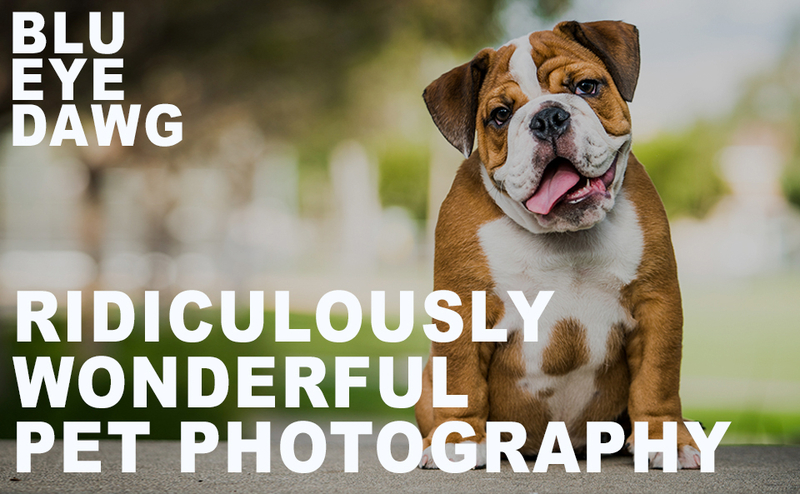 After all, they are part of their family and their owners typically take it as a compliment when I ask to do some dog photography of their fur-babies. Such was the case with this little snow ball and this wonderful French Bull Dog. 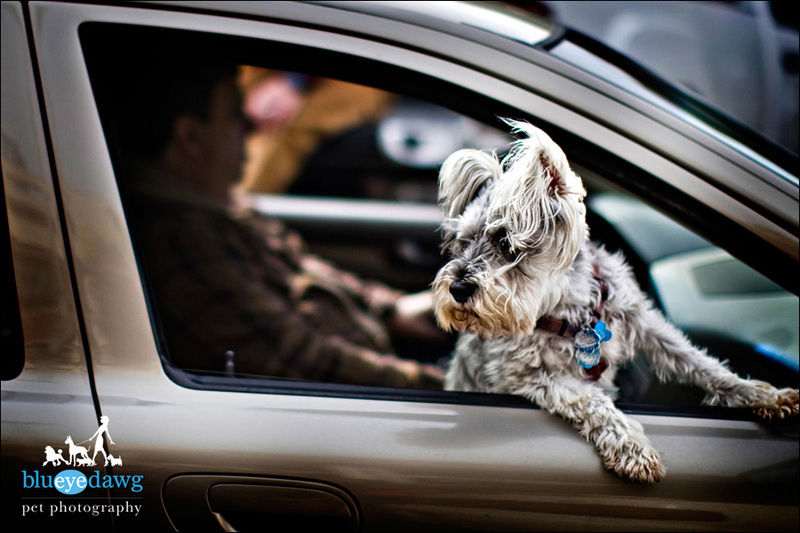 @blueyedawg.com Ridiculously Wonderful Pet Photography 949-494-5084|ProPhoto theme by NetRivet, Inc.